Today is homecoming Sunday and our kickoff for our 40th year. So let me begin with a cautionary note. Scripture warns us not to look back. It’s what turned Lot’s wife into a clump of salt and Jesus warns that one who puts his hands to the plow and then looks back is not fit to enter the kingdom. When we look back, as the Jews do with the Passover, not to long for what is no longer presence, but to remember God’s faithfulness. The same goes with the 500th anniversary of the Reformation. Believe me, we don’t want to go back to the 16th Century. It was an awful time with disease, religious wars and political turmoil. But God was faithful and we should learn from that era as we push forward into the future. What does it mean to be a follower of Jesus? What wisdom might we glean from the 16th Century as well as from those who founded this congregation? 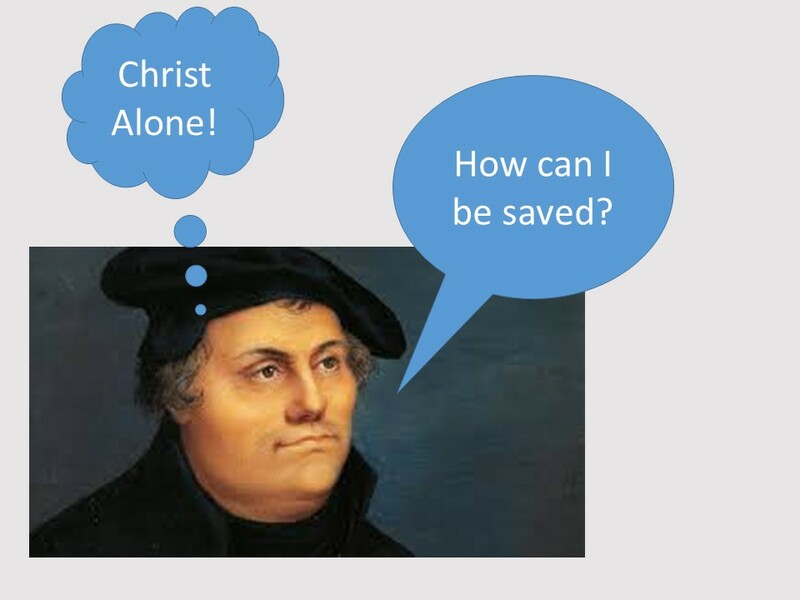 One of the questions that bothered Martin Luther and got the Reformation rolling was “How can I be saved?” It sounds pretty self-centered (how can I? ), but the focus didn’t stay internal. Martin Luther’s study of the New Testament lead him to have faith in a gracious God. The focus quickly moved from Marty’s concern with his soul to God as revealed in Jesus Christ. 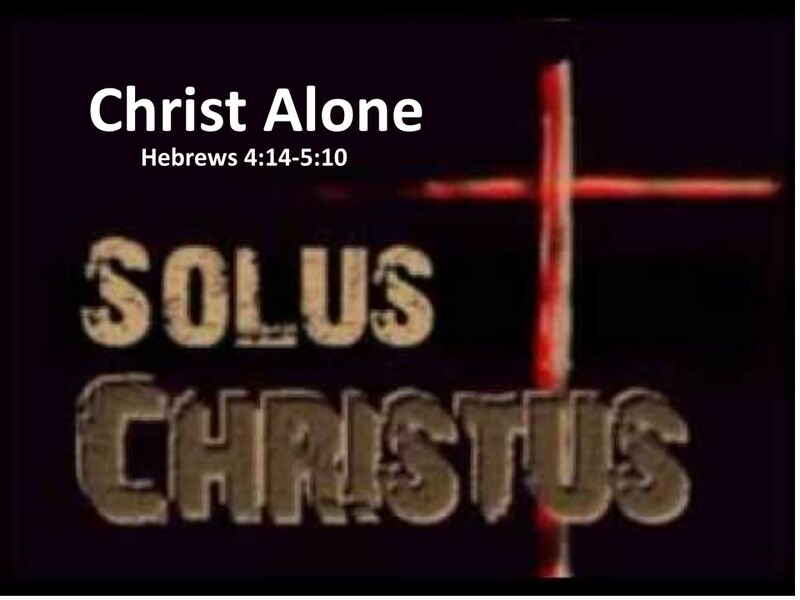 And this is the Reformation’s third solas or theme” “Christ Alone.” It is in Jesus Christ that we have hope; it is in him that we find salvation. And one day, before him, all will bow. 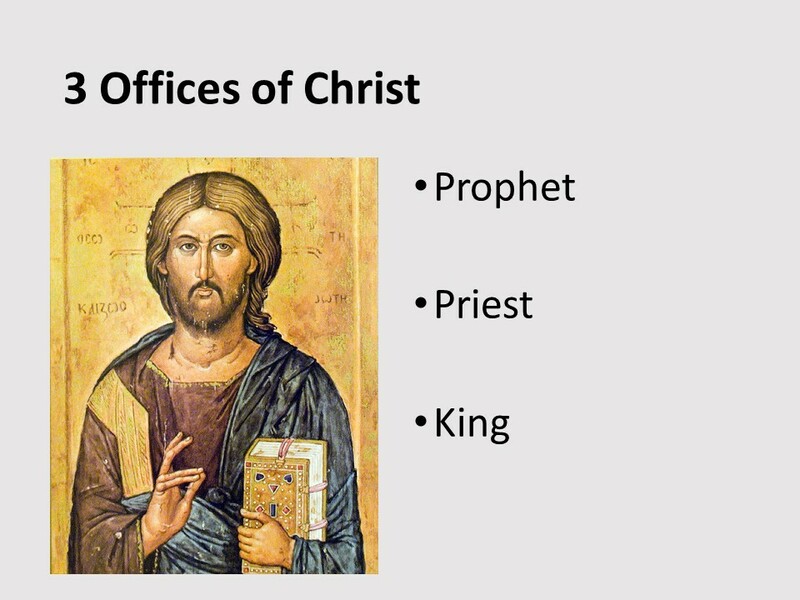 One of the historical ways of looking at the role Christ plays in our lives and world is through his three fold offices: Prophet, Priest and King. As a prophet, Christ brings God’s word to us. As a Priest, Christ stands between us and God Almighty. And as King, which is his eternal position, Jesus Christ rules over all creation, of which as prophet and priest he is redeeming. Today, as we consider Christ Alone, we’re going to look at the second office, that of the Priest. Of course, these three are co-mingled, so we can’t really consider one without the others. Read Hebrews 4:14-5:10. The Hunger Games is set in a post-apocalyptic North America, in a dark future. (How many of you have seen the movie? Read the book?) The majority of people in this world live in fear and without hope. But those who reside in the capitol, live in luxury. All who live in the twelve districts suffer and toil, making a rich life possible for those in those in power. Each year, there is a gladiator-like contest where twelve teenagers, two for each district, get to fight to the death in a televised reality TV program. Only one will survive and this one will live in luxury. The cruelty of this event is entertainment for those living in the capitol and a reminder to those in the districts of the capitol’s power and of their need to toe the line. 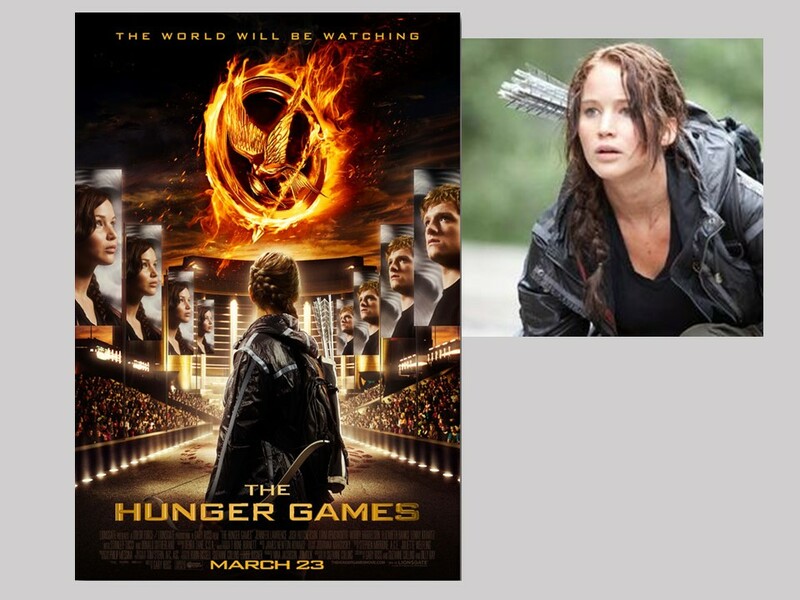 The movie begins with the selection of the participants for the 74th annual Hunger Games. Everyone is listening as the names are called. There are sighs and tears in District 12 when Primrose Everdeen, a sweet young child barely old enough to participate in the lottery, is chosen. But then there’s a cry from the crowd and her older sister, Katniss, who’s 16, steps forward and volunteers in her place. Katniss stands between the officials and her sister. She is a mediator, offering her own life in order to save her sister. 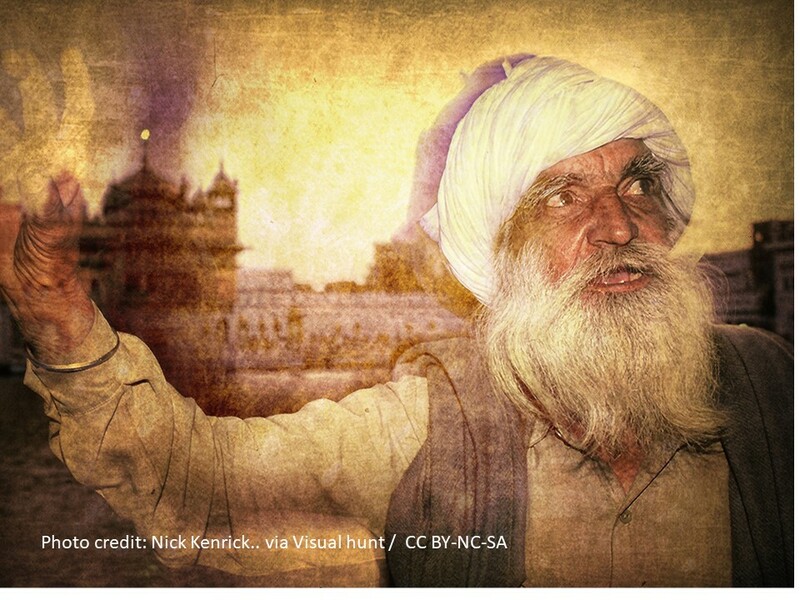 In ancient Israel, at the temple, the high priest was the mediator. Just as Katniss stood between her sister and the soldiers of the capitol, the high priest stood between the people and God. It was too dangerous for an ordinary individual to go before God. It was risky enough for the high priest, who only stepped into the Holy of Holies once a year to bring forth the sin offerings of the people. But the priest took that risk on benefit of the people. We have a great high priest, the author of Hebrews proclaims, Jesus Christ! Jesus has benefits as high priest that others did not have. He came from heaven and is the Son of God. However, he is also able to relate to us. Not only is he from heaven, he has lived as we live. He has experienced temptation. He knows the trials and tribulations (as well as the joy) of life on earth. When we bring our concerns to him, he understands. He’s not aloof. He’s not like a leader who lives locked behind walls and gates with protection all around to keep people away. He’s not the most wonderful Wizard of Oz hiding behind a façade. He’s not an out-of-touch Maria Antoinette suggesting that those hungry in the streets should eat cake if there is no bread. Jesus is like Katniss, who had grown up in District 12 and knows the hardships of the people. The author of Hebrews wants us to understand two things: Jesus not only mediates our sins, he can relate to us and to our need. 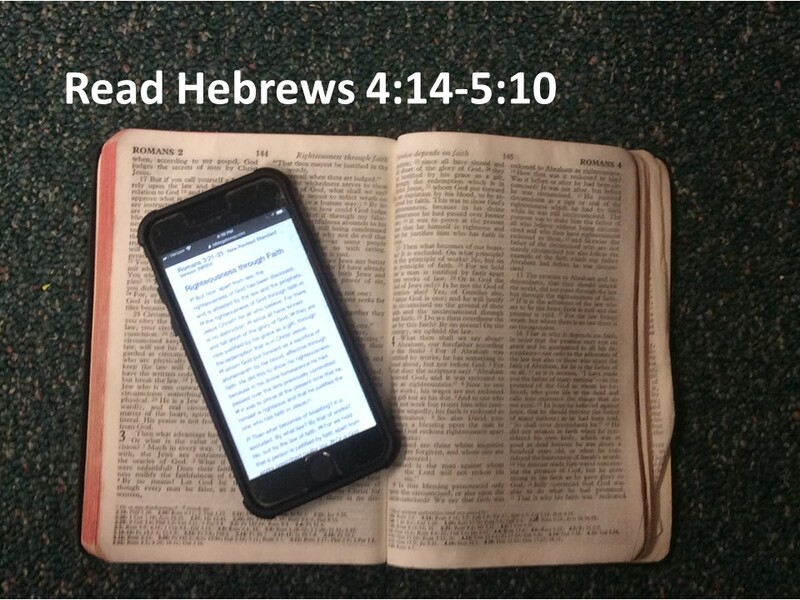 The Book of Hebrews is perhaps best described as a sermon (or a series of sermons) from an unknown preacher who addresses a tired and wore-out congregation. Many of those who listened or read this sermon were wondering if following Jesus was really worth it. Some of you may wonder the same thing. Perhaps, they think, they should go back to their former ways, as Jews or Pagans. The preacher encourages the congregation to remain faithful and in doing so provides the most complex understanding of the nature of Christ. Who is this man and what does he have to do with us? Well, when we read Hebrews, we understand and are called to keep the faith and to trust in Jesus Christ, who came to bring us life. The ending of the 4th chapter is a call for us to take our burdens to the high priest in prayer. To approach his throne of grace with boldness! For us, this might not seem a big deal. 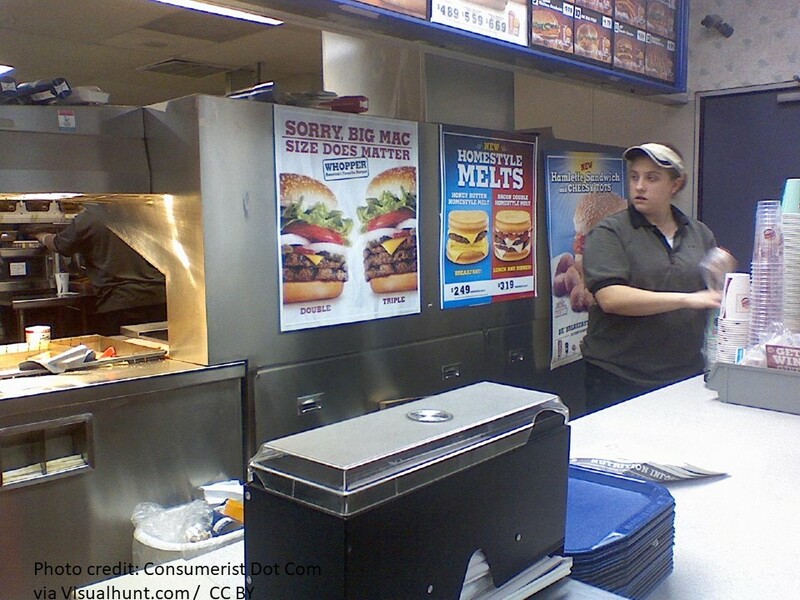 As one Biblical scholar sarcastically noted, contemporary Christians often “engage in prayer with all the casual nonchalance of ordering at a fast food restaurant. 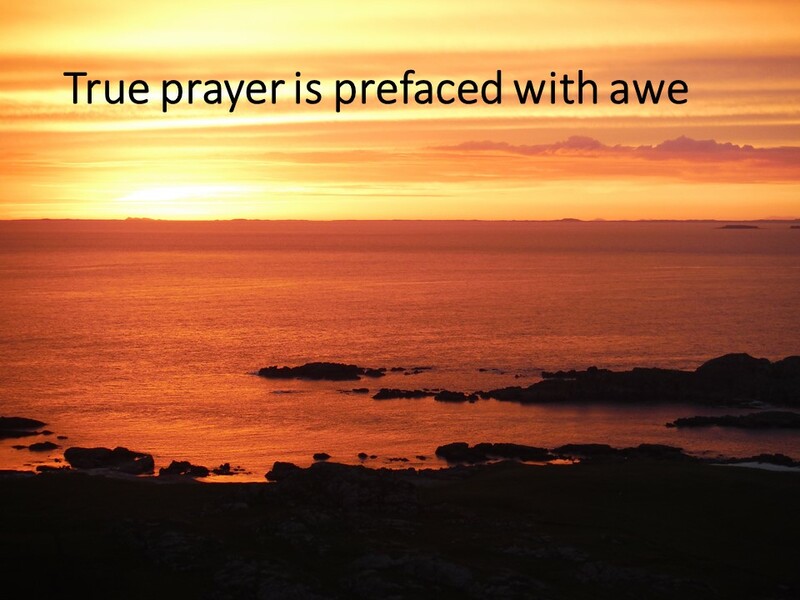 ‘God, I would like this and that,’ we say, as if we had every right to speaking this way and as if God had every obligation to fill the order.” “But true prayer is prefaced by awe.” Those Christians and Jews in the first century knew this. God is holy and dangerous. Which is why Jesus came. 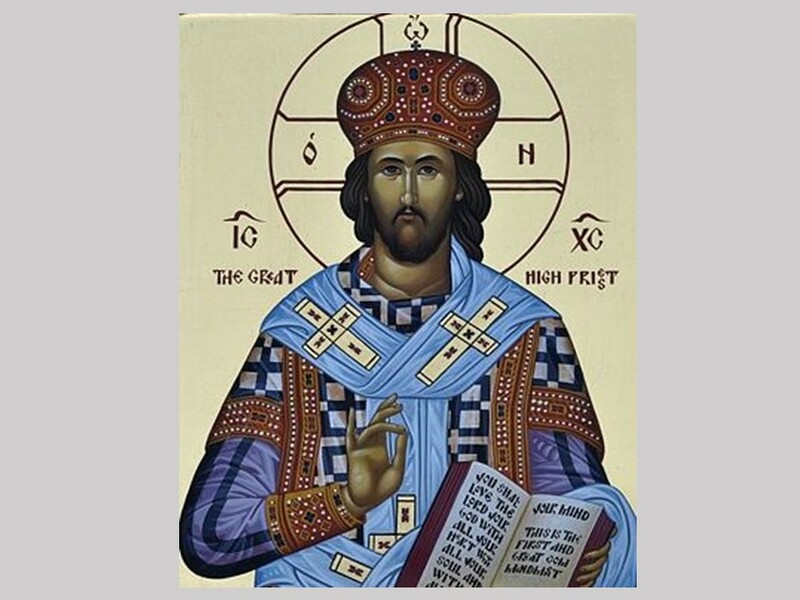 Jesus Christ is a high priest who came from heaven; this elevates him above all other high priest. So there is reason for awe, yet Jesus is also approachable because he came down to our level. As our passage moves into the 5th Chapter of Hebrews, we are given a job description of the High Priest and evidence that Jesus not only meets but exceeds the requirement. The high priest is chosen from mortals (Jesus was born of Mary); he is able to deal with the people’s wayward ways (although Jesus wasn’t sinful, he didn’t mind hanging out with those considered sinful); and he must be called by God (again Jesus exceeds in this category). Jesus, who did not brag about being a high priest, had been chosen by God. The writer of Hebrews refers to a mysterious person in the Old Testament, a priest in whom Abraham met, Melchizedek. Jesus is such a priest, an eternal priest. Starting in verse 7, we’re reminded of Jesus’ life, and how he prayed when he was on earth. On earth, he was submissive to God his Father, through whom he was made perfect and became the source of Salvation. So not only is Christ the priest, the one standing between us and God, he is also the sacrifice. 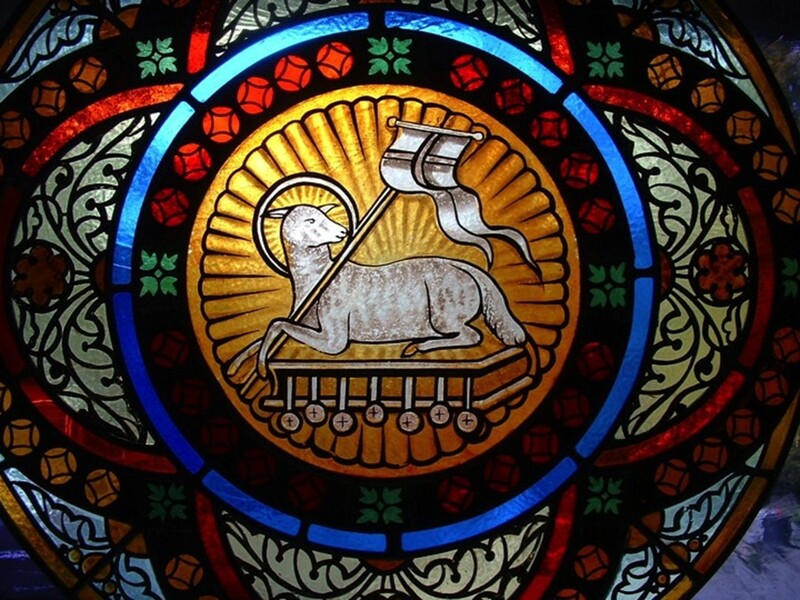 He is the Lamb of God. 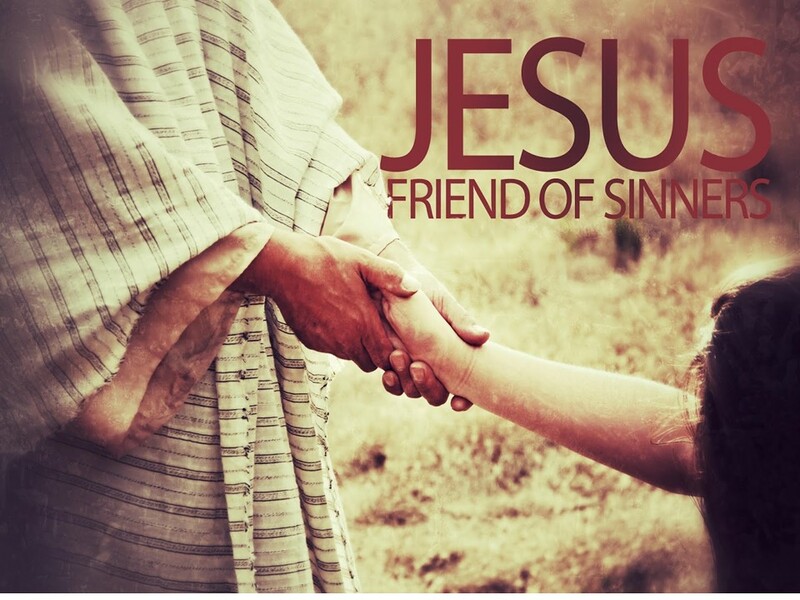 He pays the price for our sin and brings us back into relationship with God the Father. In other words, he’s the one who will, when our life on this earth is all over and done with, usher us into a homecoming unlike one we’ve ever known. Almighty God, we bow and shield our eyes for you are too awesome. We thank you for coming as Jesus, for coming in a manner in which we can understand and relate. Accept us as his followers, and guide us as we strive to keep up with him as he leads us home to you. Amen. Genesis 19:26, Luke 9:62. See M. Craig Barnes, Searching for Home: Spirituality for Restless Souls (Grand Rapids: Brazos Press, 2003), 111. See Westminster Larger Catechism, Questions 43-45. Genesis 14:17ff. See also Psalm 110:4. Thank you. Beautiful and inspiring sermon.